HMO, PPO, EPO, POS: Which Plan Is Best? HMO, PPO, EPO, POS – Which Plan Should You Choose? Out-of-Network Care Cost-Sharing Filing Claims How Your Doctor Gets Paid Medicare and Medicaid Which Is Best? In order to choose the best health insurance for you and your family, you have to understand the difference between an HMO, PPO, EPO, and POS health plan. Those are acronyms for the different types of managed care plans available in most areas. HMO = Health Maintenance Organization: HMOs tend to have lower monthly premiums and lower cost-sharing than plans with fewer network restrictions, but they require primary care provider (PCP) referrals and won’t pay for care out-of-network except in emergencies. EPO = Exclusive Provider Organization: EPOs got that name because they have a network of providers they use exclusively. You must stick to providers on that list or the EPO won’t pay. However, an EPO generally won't make you get a referral from a primary care physician in order to visit a specialist. Think of an EPO as similar to a PPO but without coverage for out-of-network care. POS = Point of Service: POS plans resemble HMOs but are less restrictive in that you’re allowed, under certain circumstances, to get care out-of-network as you would with a PPO. Like HMOs, many POS plans require you to have a PCP referral for all care whether it’s in or out-of-network. [Medical fixed indemnity plans are considered excepted benefits under the Affordable Care Act, and are not subject to its regulations; coverage under a fixed indemnity plan is not considered minimum essential coverage, which means that people who have these plans are not considered insured, and are subject to the ACA's individual mandate penalty, which is still in effect until the end of 2018.] . Note that another frequently-used acronym, HSA, does not refer to a type of managed care. HSA stands for health savings account, and HSA-qualified plans can be HMOs, PPOs, EPOs, or POS plans. HSA-qualified plans must meet specific plan design requirements laid out by the IRS, but they are not restricted in terms of the type of managed care they use. In order to choose the best type of health plan for your situation, you need to understand the six important ways health plans can differ and how each of these will impact you. Next, you need to learn how HMOs, PPOs, EPOs, and POS plans each work, in terms of those six comparison points. Health insurance regulations vary from state to state and sometimes a plan won’t stick rigidly to a typical plan design. Use this table as a general guide, but read the fine print on the Summary of Benefits and Coverage for each plan you’re considering before you enroll. That way you’ll know for sure what each plan will expect from you, and what you can expect from it. Do you have to file claim paperwork? Yes Yes Not usually. If required, PCP likely does it. Out-of-network care may have different rules. Yes, but requires PCP referral. Typically lower in-network, higher for out-of-network. Only for out-of-network claims. No No Yes Yes Typically higher, especially for out-of-network care. Some types of health insurance require you to have a primary care physician. In these health plans, the role of the PCP is so important that the plan will assign a PCP to you if you don’t quickly choose one from the plan’s list. HMO and POS plans require a PCP. In these plans, the PCP is your main doctor who also coordinates all of your other health care services. For example, your PCP coordinates services you need like physical therapy or home oxygen. He or she also coordinates the care you receive from specialists. Because your PCP decides whether or not you need to see a specialist or have a specific type of health care service or test, in these plans your PCP acts as a gatekeeper controlling your access to specialty health care services. In plans without a PCP requirement, getting access to specialty services may be less of a hassle, but you have more responsibility for coordinating your care. EPO and PPO plans do not require a PCP. Generally, health plans that require you to have a PCP also require you to have a referral from your PCP before you see a specialist or get any other type of non-emergency health care service. Requiring a referral is the health insurance company’s way of keeping costs in check by making sure you really need to see that specialist or get that expensive service or test. Drawbacks to this requirement include delays in seeing a specialist and the possibility of disagreeing with your PCP about whether or not you need to see a specialist. In addition, the patient may have additional costs due to the copay required for the PCP visit as well as the specialist visit. Benefits to the requirement include an assurance that you’re going to the correct type of specialist and expert coordination of your care. If you have a lot of specialists, your PCP is aware of what each specialist is doing for you and makes sure the specialty-specific treatments aren’t conflicting with each other. Although it's typical for HMO and POS plans to have referral requirements, some managed care plans that have traditionally required PCP referrals have switched to an "open access" model that allows members to see specialists within the plan's network without a referral. So although there are generalities about managed care plans, there's no substitute for reading the fine print on your own plan or the plans you're considering. A pre-authorization or prior authorization requirement means the health insurance company requires you to get permission from them for certain types of health care services before you’re allowed to get that care. If you don’t get it pre-authorized, the health plan can refuse to pay for the service. Health plans keep costs in check by making sure you really need the services you’re getting. In plans that require you to have a PCP, that physician is primarily responsible for making sure you really need the services you're getting. Plans that don't require a PCP (such as EPO and PPO plans) use pre-authorization as a mechanism to reach the same goal: the health plan only pays for care that's medically necessary. Plans differ as to what types of services must be pre-authorized but almost universally require that non-emergency hospital admissions and surgeries be pre-authorized. Many also require pre-authorization for things like MRI or CT scans, expensive prescription drugs, and medical equipment such as home oxygen and hospital beds. If in doubt, call your insurance company before you schedule a medical procedure, to see if a pre-authorization is necessary. Pre-authorization sometimes happens quickly and you'll have the authorization before you even leave the doctor's office. More often, it takes a few days. In some cases, it can take weeks. HMOs, PPOs, EPOs, and POS plans all have provider networks. This network includes doctors, hospitals, labs, and other providers that either have a contract with the health plan or, in some cases, are employed by the health plan. Plans differ as to whether you'll have coverage for health care services from providers who aren’t in their network. If you see an out-of-network doctor or get your blood test done at an out-of-network lab, some health plans won’t pay. You’ll be stuck paying the entire bill for the care you received out-of-network. The exception to this is emergency care. Managed care plans will cover emergency care received in an out-of-network emergency room as long as the health plan agrees that the care was truly necessary and constituted an emergency (note that the out-of-network emergency providers can still bill you for the difference between what they charge and what your insurer pays, and this can leave you on the hook for a significant amount of money). In other plans, the insurer will pay for out-of-network care. However, you’ll have to pay a higher deductible and/or a larger percentage of the cost than you would have paid if you’d received the same care in-network. Regardless of the plan design, out-of-network providers are not bound by any contracts with your health insurance company. Even if your POS or PPO insurance pays a portion of the cost, the medical provider can bill you for the difference between their regular charges and what your insurance pays. If they do, you're responsible for paying it. This is called balance billing, and it's legal in most states for out-of-network care, even in emergency situations. Cost-sharing involves paying for a portion of your own health care expenses—you share the cost of your health care with your health insurance company. Deductibles, copayments, and coinsurance are all types of cost-sharing. Health plans differ in what type and how much cost-sharing they require. Generally, more restrictive health plans reward you with lower cost-sharing requirements, while more permissive health plans require you to pick up a larger part of the bill through higher deductibles, coinsurance, or copayments. But this has been changing as time goes by. In the 80s and 90s, it was common to see HMOs with no deductible at all. Today, HMO plans with $1,000+ deductibles are common (in the individual market, HMOs have become the predominant plans in many areas, and are frequently offered with deductibles of $5,000 or more). In plans that pay a portion of your costs, when you see out-of-network providers, your out-of-pocket charges will generally be quite a bit higher (usually double) than they would be if you saw in-network doctors. So for example, if your plan has a $1,000 deductible, it might have a $2,000 deductible for out-of-network care. The upper limit on what you'll have to pay in out-of-pocket costs (including coinsurance) will likely be considerably higher when you go outside your plan's network. It's also important to realize that some PPO and POS plans have switched to an unlimited cap on out-of-pocket costs when members seek out-of-network care. That can end up being very expensive for consumers who aren't aware that the plan's cap on out-of-pocket costs (as required by the ACA) only applies within the plan's provider network. If you get care out-of-network, you’re usually responsible for filing the claim paperwork with your insurance company. If you stay in-network, your doctor, hospital, lab, or other provider will file any necessary claims. In plans that don’t cover out-of-network care, there usually isn’t any reason to file a claim unless you received emergency care out-of-network since your insurer won't reimburse you for the costs. It's still important to keep track of what you've paid, however, as you may be able to deduct your medical expenses on your tax return (if they're more than 7.5 percent of your income; this will increase to a 10 percent threshold as of 2019). Or, if you have an HSA, you can reimburse yourself (at the time or service, or anytime in the future) with pre-tax funds from your HSA, assuming you don't deduct your medical expenses on your tax return (you can't do both; that would be double-dipping). Understanding how your doctor gets paid can alert you to situations in which more services than necessary are being recommended, or situations in which you might need to push for more care than is being offered. In an HMO, the doctor is generally either an employee of the HMO or is paid by a method called capitation. Capitation means the doctor is given a certain amount of money each month for each of the HMO members he is obligated to care for. The doctor gets the same amount of money for each member whether that member requires services that month or not. Although capitated payment systems discourage ordering tests and treatments that aren’t necessary, the problem with capitation is that there’s not much incentive to order necessary ones, either. In fact, the most profitable practice would have lots of patients but not provide services to any of them. Ultimately, the incentives for providing necessary care in an HMO are an honest desire to provide good patient care, a decrease in long-term costs by keeping HMO members healthy, public quality and customer-satisfaction rankings, and the threat of a malpractice suit. In EPOs and PPOs, doctors are typically paid each time they provide a service. The more patients they see a day, the more money they make. Moreover, the more things a doctor does during each visit, or the more complex medical decision-making a visit requires, the more the doctor is paid for that visit. This type of payment arrangement is known as fee-for-service. The downside of a fee-for-service payment arrangement is that it provides a financial incentive for the doctor to provide more care than may be necessary. The more follow-up visits you require, the more money the doctor makes. Also, since the doctor is paid more for complex visits, it's no surprise that patients have lots of blood tests, X-rays, and a long list of chronic problems. Because people may get more care than necessary, fee-for-service payment arrangements lead to escalating health care costs and higher health insurance premiums. An estimated 36.7 percent of the U.S. population is enrolled in either Medicaid or Medicare. These are government-run health plans. Traditionally, the government (federal for Medicare; federal and state for Medicaid) simply paid health care providers directly when enrollees received care. But in recent decades, there has been a switch toward managed care in Medicaid and Medicare. As of 2016, more than 81 percent of Medicaid enrollees were in Medicaid managed care plans (the state contracts with one or more health plans; enrollees might thus receive a Blue Cross Blue Shield ID card, as opposed to an ID card from the state Medicaid program). In 2017, a third of Medicare enrollees were in managed care plans (Medicare Advantage). It depends on how comfortable you are with restrictions and how much you’re willing to pay. The more a health plan limits your freedom of choice, for instance, by not paying for out-of-network care or by requiring you to have a referral from your doctor before you see a specialist, the less it will generally cost in premiums and in cost-sharing. The more freedom of choice the plan permits, the more you’re likely to pay for that freedom. Your job is to find the balance you're most comfortable with. If you want to keep your costs low and don't mind the restrictions of having to stay in-network and having to get permission from your PCP to see a specialist, then perhaps an HMO is for you. If you want to keep costs low, but it irks you to have to get a referral for a specialist, consider an EPO. If you don't mind paying more, both in monthly premiums and cost-sharing, a PPO will give you both the flexibility to go out-of-network and to see specialists without a referral. But, PPOs come with the extra work of having to get pre-authorization from the insurer for expensive services, and they tend to be the most expensive option. If you're buying your own coverage (as opposed to getting it from your employer), you may not have any PPO options, as individual market plans have increasingly switched to the HMO model. And if you're getting coverage from your employer, the scope of your plan options will generally depend on the size of your employer. Bigger employers tend to offer more plan options, whereas a small employer might just have a single plan available for employees to accept or decline. Virtually all modern health insurance plans are managed care plans, but there is considerable variation in terms of the size of the provider network and the requirements that plans have for member utilization. The bottom line: there's no perfect health plan type. Each one is just a different balance point between benefits vs. restrictions and between spending a lot vs. spending less. Understanding the difference between PPO, EPO, HMO, and POS is the first step towards deciding how to pick the health insurance plan that will work best for you and your family. Congress.gov. H.R.1 - An Act to provide for reconciliation pursuant to titles II and V of the concurrent resolution on the budget for fiscal year 2018. Gaba, Charles. ACA Signups, Health Care Coverage Breakout for the Entire U.S. Population in One Chart. March 2016. HealthCare.gov, Health Insurance Plan and Network Types: HMOs, PPOs, and More. Kaiser Family Foundation, Medicare Advantage Spotlight 2017: Enrollment Market Update. Kaiser Family Foundation, Total Medicaid Managed Care Enrollment, 2016. Kaiser Family Foundation, Employer Health Benefits, 2017 Summary of Findings. 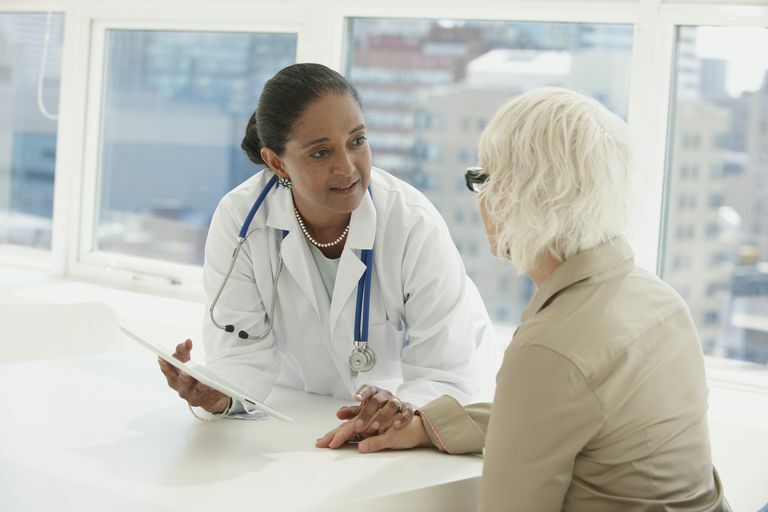 What Type of Doctor Can Be Your Primary Care Physician (PCP)?